The 54-page book includes new gods, heroes, monsters and mortals, as well as expanded treatments of those covered in the game’s core rulebook. Chariots are covered in detail, including the chariot-feats described in Irish sagas such as the Tain Bo Cuailnge. New battle scenarios are provided, as well as notes on warband design and allied forces. 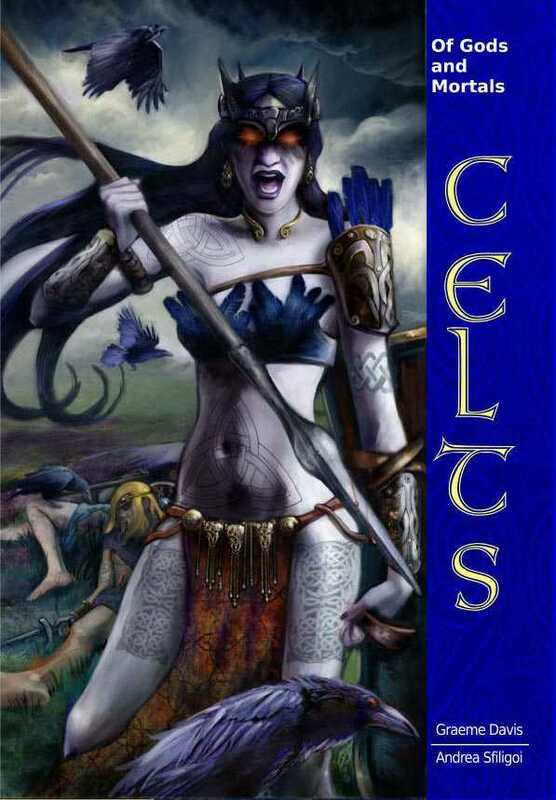 Finally, a detailed bibliography is provided for readers who wish to explore the worlds of Celtic myth further.